Take on even the biggest jobs with bold, rugged styling that features distinctive touches! 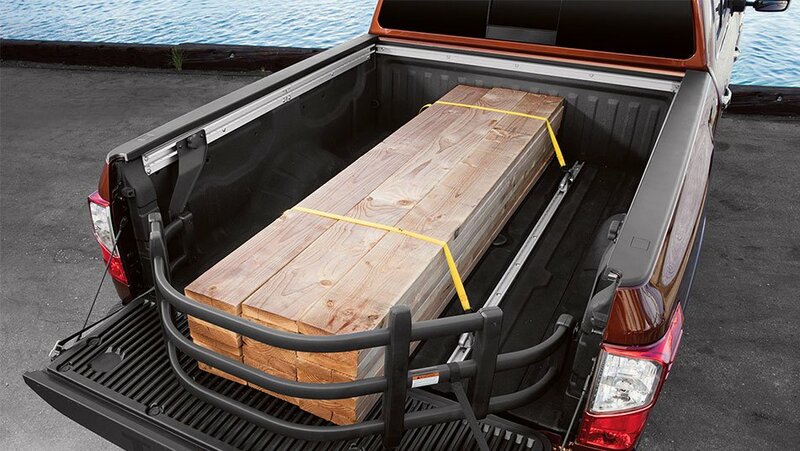 The Nissan Titan has truly impressive strength and stamina. We took premium to new heights, offering a spacious interior layout, to make sure everything has a quality look and feel, along with the durability you want in a truck. The Titan is here to show you it means business! 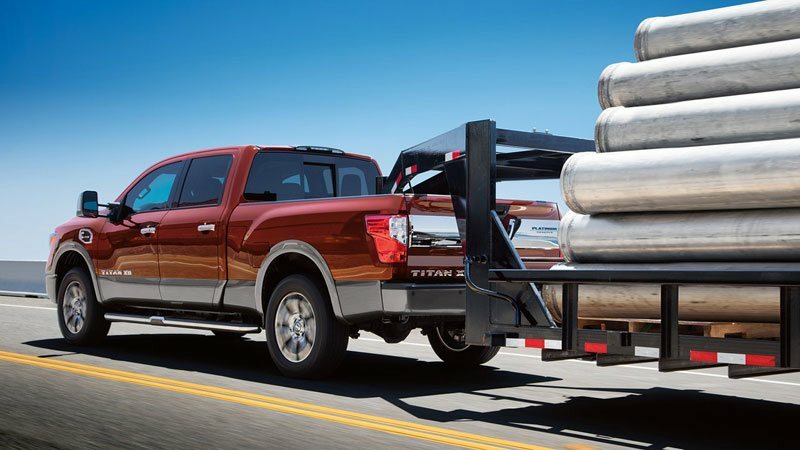 When it comes to towing, TITAN reigns supreme. From a choice of ways to tow to a jaw-dropping 9,220 lb. 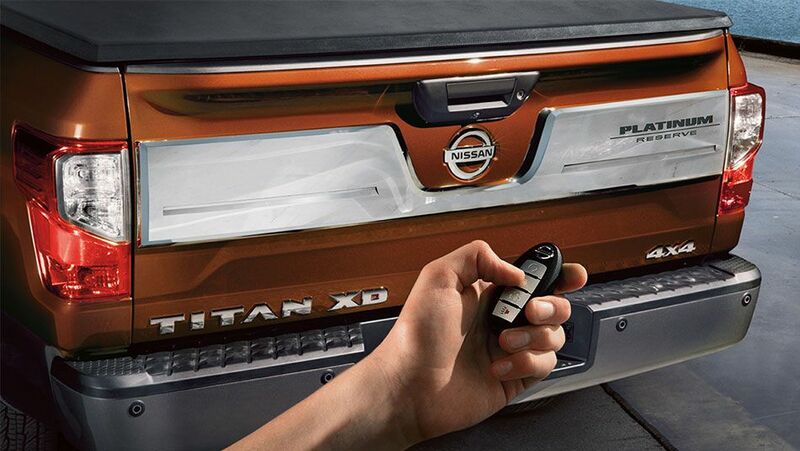 maximum capacity, to innovative features designed to make towing easy, TITAN gives you the confidence handle even the biggest loads. 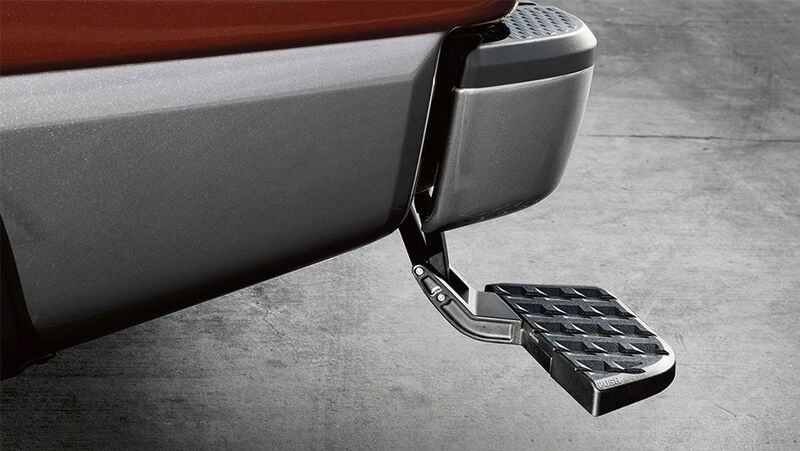 Helping to give you a clear view of what's directly behind you, the RearView Monitor features guide lines to make picking up a trailer a simple task. Trailer Sway Control can help keep the trailer in line whether it's crosswinds or bad roads. Need room for three? TITAN's rear seat gives plenty of stretch-out room. No crew along for the ride? 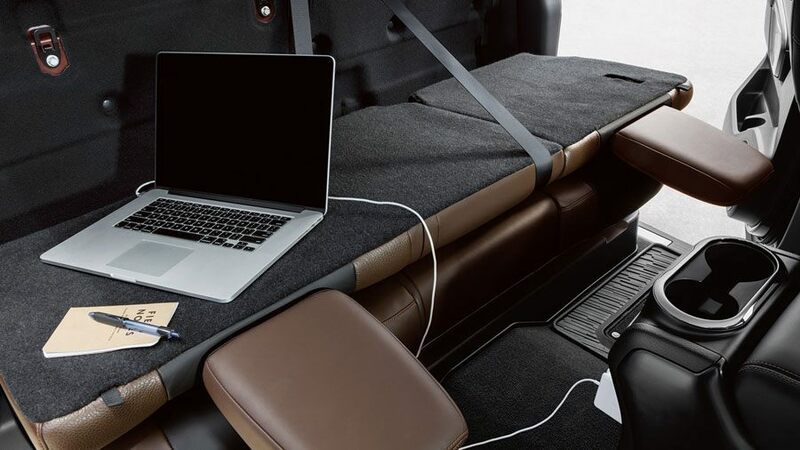 The rear seat offers up all kinds of options, from a handy work surface, shown here, to available lockable under-seat storage bins to a and a flat loading floor. 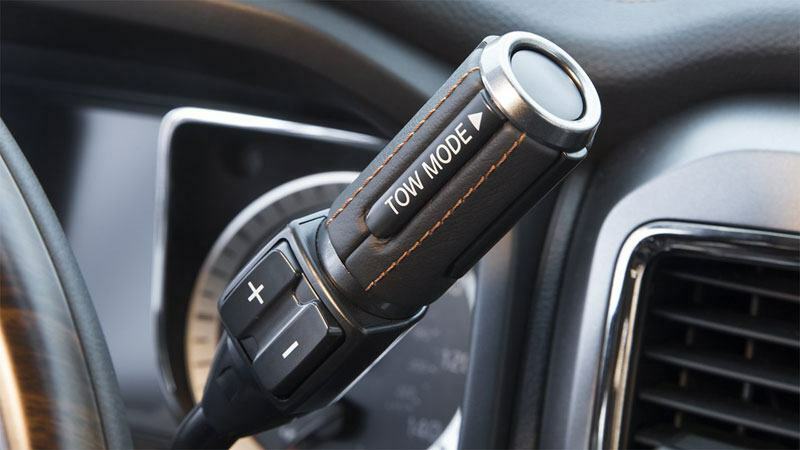 With a full-length, fully-boxed frame, powerful Endurance V8, new 7-speed automatic transmission with Tow/Haul mode, and adjustable Brake Controller, TITAN helps you tow with the capability and confidence you need. Technical knock-out. TITAN's 5.6-liter, Endurance V8 gas engine combines brains and brawn. 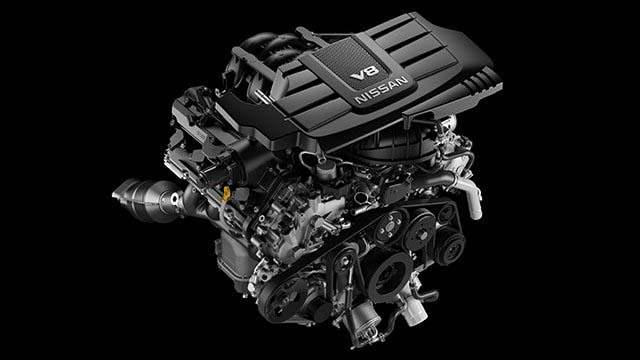 With a 4-valve-per-cylinder design and Nissan Direct Injection System and Variable Valve Event and Lift (VVEL), you've got the power you want with the efficiency you need. 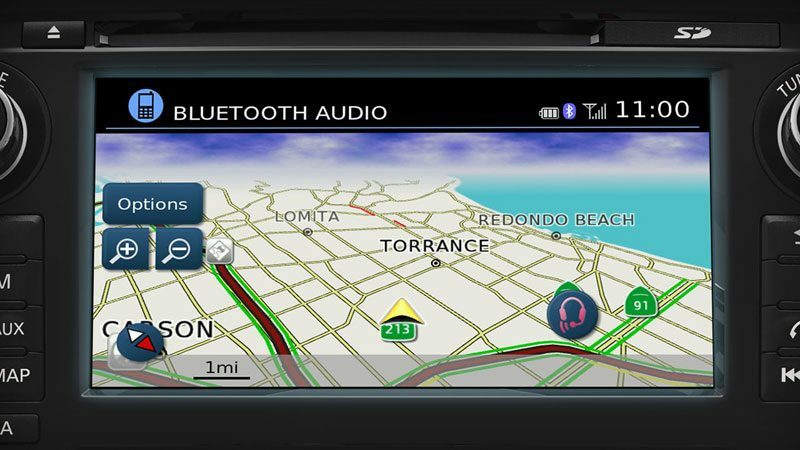 Imagine the possibilities when you combine an advanced navigation system with connected technology. 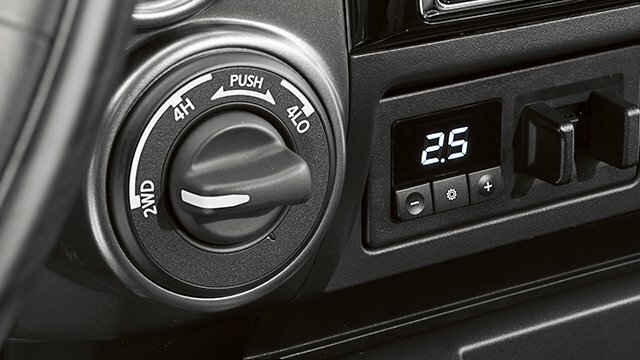 Add convenient features like multiple power outlets. Then surround it all by the pumping sound of a premium audio system. Thanks to TITAN's available navigation system and Online Search powered by Google, getting around has never been easier. 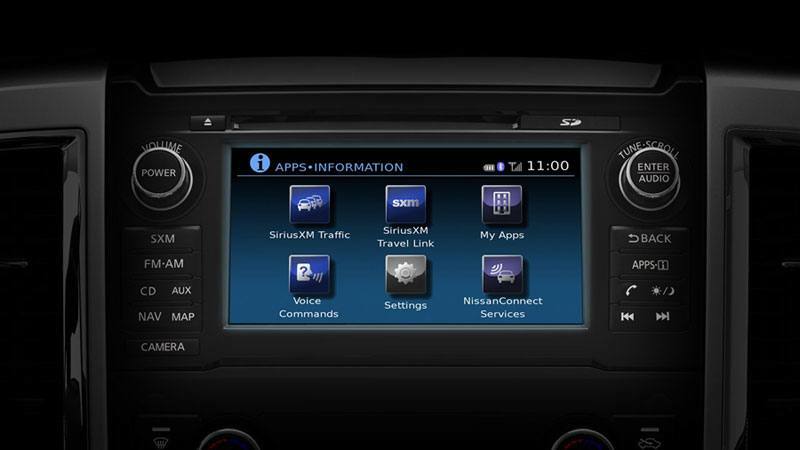 With available NissanConnect Services powered by SiriusXM, you have a selection of plans and services ranging from remote engine start access on your phone to calling for help if the system senses there's been an accident. 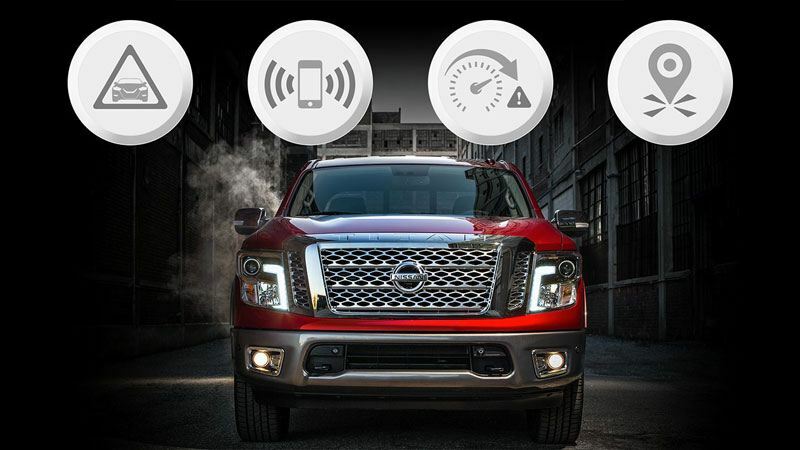 With the NissanConnect Mobile Apps companion app, your TITAN serves up music, social media, navigation, points of interest and more. SiriusXM Travel Link gives you easy access to traffic, weather, movies, sports and even stocks. 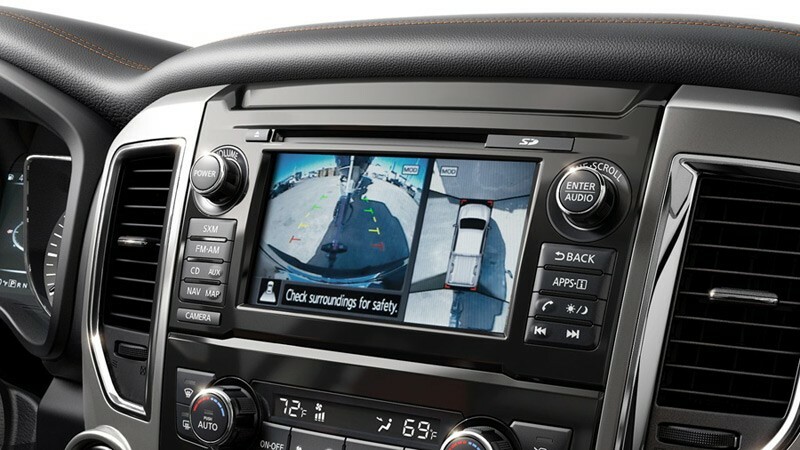 When you're in Reverse, the RearView Monitor shows what's directly behind you and helps make backing up and parking easier. And the Around View Monitor uses four cameras to give you a virtual 360-degree bird's-eye view of your vehicle, with selectable split-screen close-ups of the front, rear, and curbside views, so you can see where you're going without second-guessing. TITAN's available parking sonar gives you an added ally in your pursuit of parking, with sensors on all four corners looking out for static objects and giving you an audible warning when it detects you're getting close. 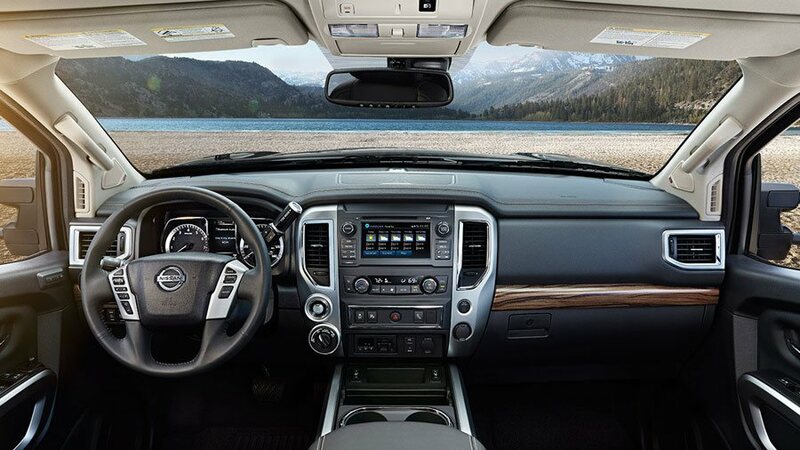 Get Your 2018 Nissan Titan at St. Catharines Nissan. Call us at (905) 646-9999 or fill out the form below to get best rates.